Watch this space for upcoming events and news. Of all the muffins in the world my first choice will always be blueberry. Why purchase the pre-packaged, bulk-size assortment of muffins when you know you are after only on flavor and you can easily whip up a healthier batch all by yourself. This recipe adds the addition of blackberries, because two are always better than one, right?!? These muffins rise to the occasion with a crisp, crystalized sugary crust and a soft crumb on the inside. Enjoy this homemade gluten free pastry morning, noon or night. Preheat oven to 350°F. Line muffin tins with paper cups (or be sure to grease the pan with plenty of oil or butter). Whisk together the sugar, yogurt, eggs, oil, milk, and vanilla extract in a large bowl. In a separate bowl, combine the remaining dry ingredients (except the berries) together. Then mix into the wet ingredients until just combined. Do not overmix! 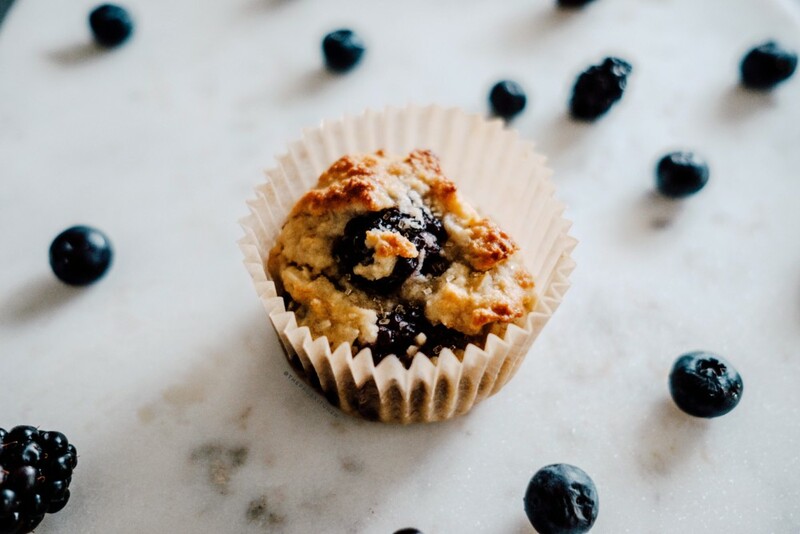 Gently fold the fresh blueberries into the muffin batter. Lastly, sprinkle turbinado sugar on top for the crackly finish later on. Scoop into muffin pan and bake for 35 minutes, until golden brown on top and until a toothpick inserted comes out clean. Let cool and Enjoy! You Did It, High Five Friend! 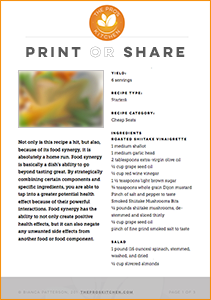 You can easily print and save this recipe for future reference. You can also download it and share it with friends. Enjoy! We invite you to explore our site. Take back to your kitchen the information you gather and create your own personalized playbook on how to live at your peak. Whole Foods. Whole Person. Whole Life. Choose all that you're interested in exploring. Getting into the game starts with your first step. To help you make that step and to allow us to get acquainted, we're offering free consultations. Lets kick off today. Sign Up Now!